Manchester United: Was Brighton defeat the beginning of the end for Mourinho? 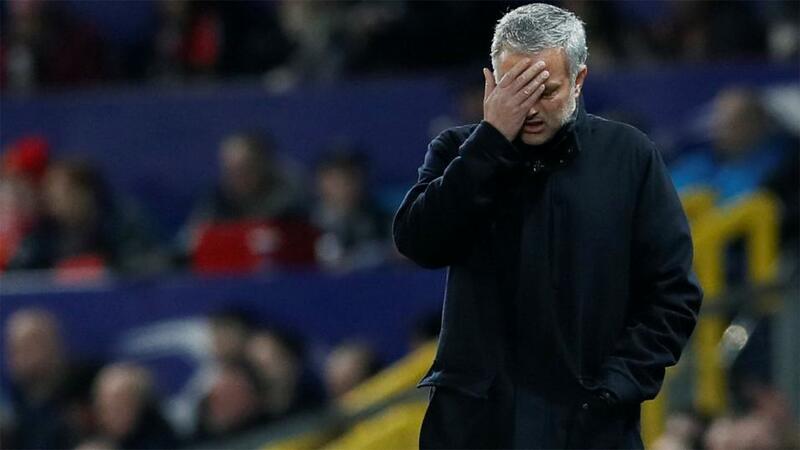 Alex Keble assesses the likelihood of Jose Mourinho becoming the first Premier League manager to lose his job, arguing that a Chelsea-style collapse is increasingly plausible. "Bereft of creativity, United looked like a team that wasn’t interested in getting a positive result for their manager and this, more than anything else, suggests Mourinho could be set for another disastrous third season." It was the manner of the defeat, not the score line itself, which has left so many pundits awaiting the usual third-season collapse for Jose Mourinho at Manchester United. Brighton & Hove Albion are an organised side that play with bravery and intelligence at home, earning 29 points at the Falmers Stadium last season, and so a poor result for the visitors was always on the cards. But the least United fans could have expected was to go down fighting. Instead, the players seemed completely clueless, unable to conjure meaningful attacks throughout the match to make Brighton's 3-2 win remarkably comfortable. Bereft of creativity, United looked like a team that wasn't interested in getting a positive result for their manager and this, more than anything else, suggests Mourinho could be set for another disastrous third season. Pep Guardiola's Manchester City may look like improvisers but in fact their attacking patterns are anything but. It takes rote learning on the training ground to create the passing angles that provide the illusion of creativity, something Mourinho has famously never done. The Portuguese leaves attacking to the attackers, inviting his players to work out their own system in the final third. Counter-intuitively, Mourinho preaches creative freedom and Guardiola is the disciplinarian. This laissez-faire tactical approach helps explain why Mourinho teams so often fall apart towards the end of the cycle. Players low on self-esteem - a situation that has developed this summer thanks to Mourinho's constant moaning about the transfer window and open criticism of his own players - need to fall back on muscle memory. When times are tough you go back to basics, primarily because improvising requires bravery; United find it hard to move fluidly, make daring runs, or attempt risky through balls when an air of impending doom hangs in the air. The defeat at Brighton was a clear example of this. United looked more disconnected than ever, playing like a collection of individuals that had no idea how to interact with one another - mainly because their manager hadn't taught them what to do. Paul Pogba drifted about, clipping balls over the top, the full-backs crossed aimlessly whenever they had the chance, and the wingers cut inside straight into the mass of Brighton bodies. Eric Bailly had his worst performance in a United shirt on Sunday, a fact that cannot be unrelated to his manager's very public complaints about a lack of defensive reinforcements. The Ivorian must feel unwanted and under significant pressure at the moment, which partially absolves him of blame for a harrowing 90 minutes in Brighton. This, again, is a sign of a Mourinho collapse. Once the players turn - either because of public bust-ups, like Pogba's, or because they no longer feel supported - there is no way back. In 2015/16, Chelsea's defence was inexplicably appalling, not dissimilar to what we witnessed at the Falmers Stadium. In the emerging dispute between Pogba and Mourinho it is obvious who is of greater value to the club, commercially and financially. With the average manager lasting little more than 12 months in a Premier League job the players know they are more valuable assets than their coaches - and that it only takes a few bad results for owners to pull the trigger. It is possible, then, that United's players will quickly stop listening to Mourinho in the hope of ridding Old Trafford of its poisonous atmosphere. Pogba admitted his attitude was wrong against Brighton. He wasn't the only one, and if the situation worsens the Frenchman is unlikely to rouse himself to greater urgency in the weeks ahead. It is beginning to look likely that Mourinho will be the first Premier League manager to leave his post, currently priced at 4/1. United's next two games are against Tottenham Hotspur (h) and Burnley (a), a challenging run for any Premier League club but about as bad as it gets for a team trying to avoid a catastrophic start. Should they fail to win either of these two matches then games against Watford, Wolves, and West Ham could be very difficult indeed. All three clubs are capable of playing aggressive high-pressing football; bravery is precisely the weapon needed to pile on misery when Mourinho teams start to crumble. Newcastle United, Chelsea, and Everton - the next three games - all have a recent history of beating Man Utd, which just leaves Bournemouth away before they face Manchester City in mid-November. There is a long way to go before then, and on paper United should be capable of winning most of these matches, but it doesn't require a big leap of the imagination to see a series of defeats here. The ghost of Chelsea's 2015/16 season will make a reappearance in the corridors of Old Trafford should things get worse. The one thing that goes in Mourinho's favour is the dearth of top-quality candidates currently available to replace him. Arguably the biggest name without a club is Zinedine Zidane (2/1), who quit Real Madrid at the end of last season after winning three consecutive Champions League titles. However, his individualistic approach to management, coupled with his relatively hands-off tactical approach, is precisely the opposite of what United need. He would surely struggle to provide the focus and freshness the club needs. The other favourites are Mauricio Pochettino (13/2), Carlo Ancelotti (10/1), and Ryan Giggs (12/1). It seems unlikely the current Spurs manager would move midseason, although his growing frustration with Daniel Levy's transfer policy makes Old Trafford an attractive destination long-term. United could line him up for the end of the season and go with a stop-gap in the meantime. Ancelotti and Giggs, like so many others on the list, have new roles that pretty much rule them out.